Pulsecho’s SmartRad is a radiation detector with a graphic LCD & menu driven operation. The graphic LCD along with its backlight enables SmartRad to show a digital reading along with an analogue bar which shows sudden variations. SmartRad also shows the next calibration date. SmartRad micro is a hand held contamination monitor that can detect Alpha, Beta, Gamma and X-Ray. It is an extremely convenient, hand held, portable instrument used for detecting contamination on surfaces such as walls, tables, floors etc. 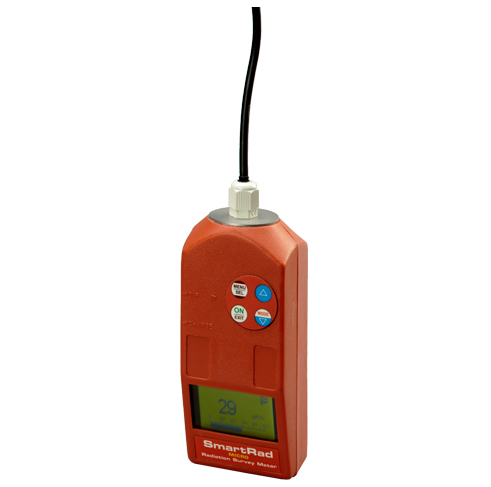 It has a graphical display which can also show counts per second for easy contamination monitoring. On surfaces in research labs etc. microRAD Is a portable, battery operated Contamination Detector. It provides a fast and accurate measure of Alpha, Beta and GAMMA RADIATION. 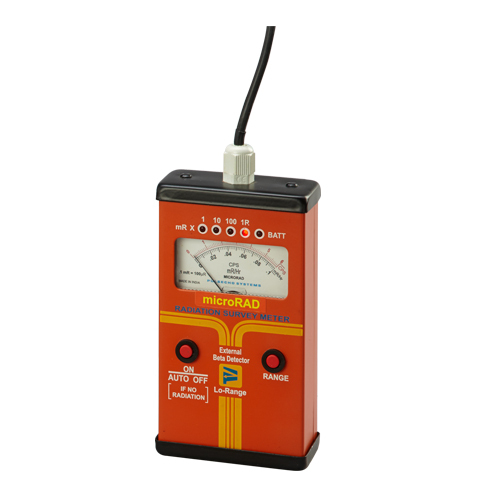 It has a very sensitive low range Pancake Detector which connects to the main unit with a one meter cable. For Alpha and Beta Detection the pancake window must be exposed.